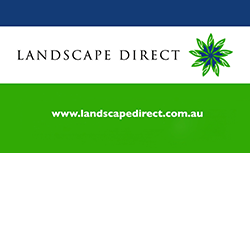 Landscape Direct provides a total landscape management service to meet the diverse needs of corporate, public and private sector clients throughout Australia and overseas. Landscape Direct provide the know-how and skills to create and maintain first class environments which are practical yet enhance the places in which people live, work and play. Our portfolio of work spans contracts as diverse as business parks, recreational and sporting fields, resorts, retail and commercial precincts and federal, state and local government facilities. We specialise in garden and landscape services, with qualified specialists in every field on call. Our background is the provision of high quality landscape management services to large, diverse and complex contracts. Grounds Miantenance, external cleaning and waste management. Department of Defence - ACT/SNSW Defence Garrison Support Contract Landscape Direct was contracted in July 1999 to undertake the grounds maintenance requirements of the ACT and Southern New South Wales Defence Garrison Contract. The provision of services had to be extremely responsive to the changing priorities of such a high profile client and many strategies were developed to ensure that the Department’s assets were maintained to the highest standard and available for use at all times. The contract area has been widespread with major sites including Royal Military College Duntroon, The Australian Defence Force Academy, Russell Offices, Campbell Park Offices, HMAS Harman, Australian Defence College Weston, RAAF Fairbairn and the Majura Training Area. Assets maintained included Heritage Listed Gardens, Sporting Fields, Swimming Pools, Parade Grounds, Parkland, Open Spaces, Tennis / Volleyball / Netball / Hockey Courts, Firing Ranges, Fitness Tracks, Car Parks and Memorials. Landscape Direct has a 25 year background in providing a high quality, specialised grounds maintenance and land management service to large scale, diverse and complex contracts. We have a pool of clients Australia wide who all rely on our operational systems and expertise for the care of their sites and facilities. A high degree of liaison with our clients ensures that: our ongoing service meets or exceeds your specified service parameters and the task completion is satisfactory in the long term. All long-term maintenance requirements, budget parameters and any long term planning and up-grading of the contract requirements are met at all times. Landscape Direct employs more than 30 qualified staff and accredited experts in the fields of landscape architecture, horticulture, greenkeeping, construction and maintenance. Additional specialist advice for pathology, soil, and other requirements is sourced from our panel of reliable and qualified third parties. Our field crews are highly mobile and utilise modern equipment that allows them to perform their tasks quickly and efficiently at any particular location.